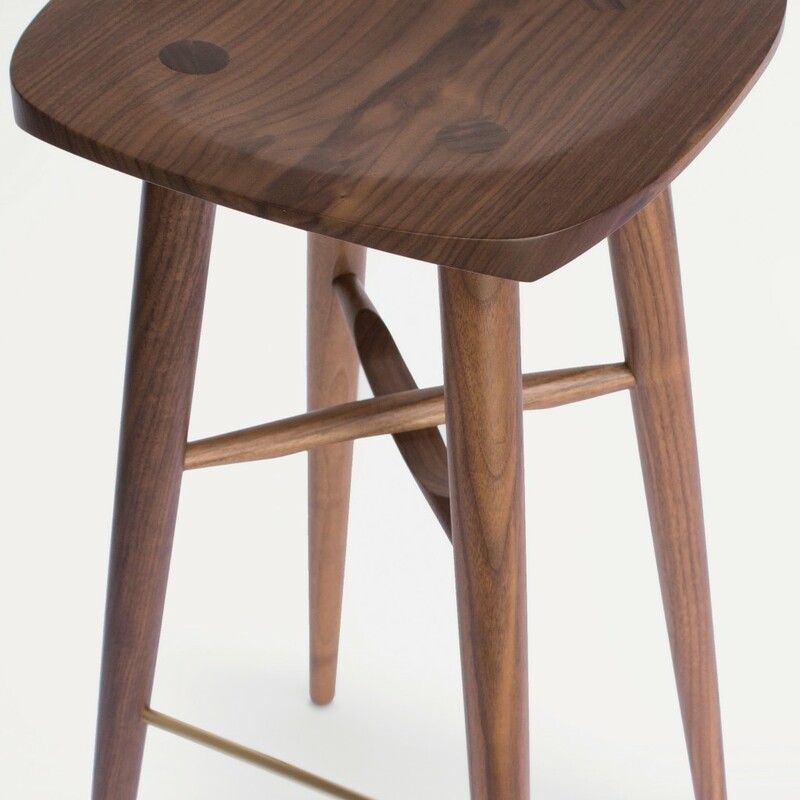 This elegant tall bar stool comes with a unique ‘scooped out’ top, shaped for extra comfort. 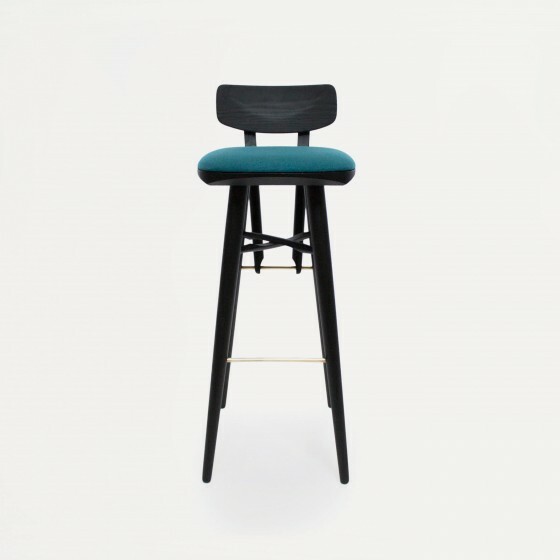 Casual, yet striking, the Holton Bar Stool offers informal designer seating whilst retaining the unique detailing of the Holton range. 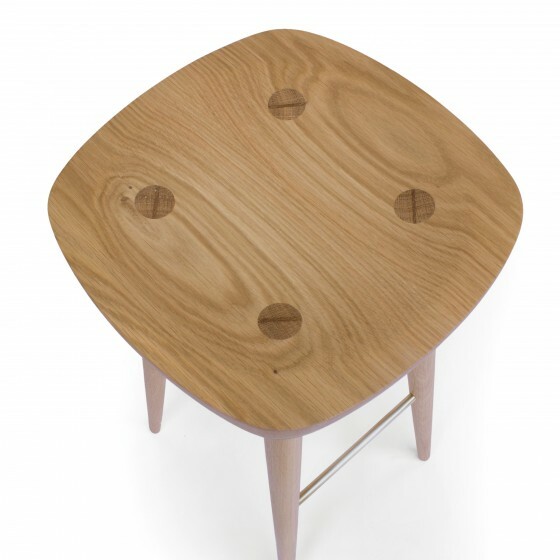 The stylish brass foot rail is not only functional, but provides an elegant contrast to the solid timber. 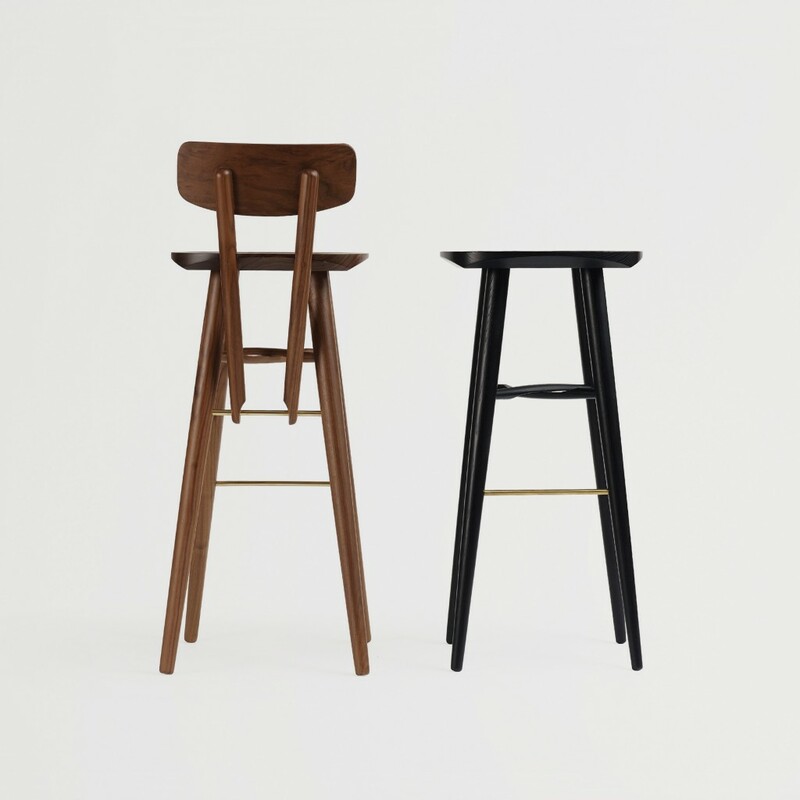 The cross brace, presented with a striking cut away effect, offers a contemporary take on a traditional stretcher, whilst being an integral part of the stool’s structure. 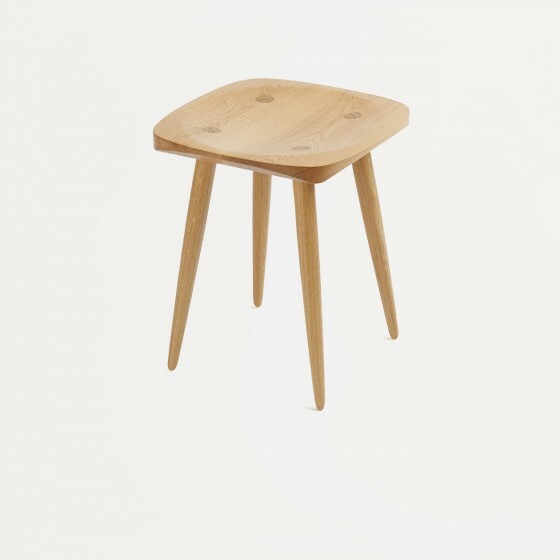 For the Holton range we utilise traditional Windsor chair making techniques, a skill which is in fast decline in the UK and one we are very keen to keep alive. 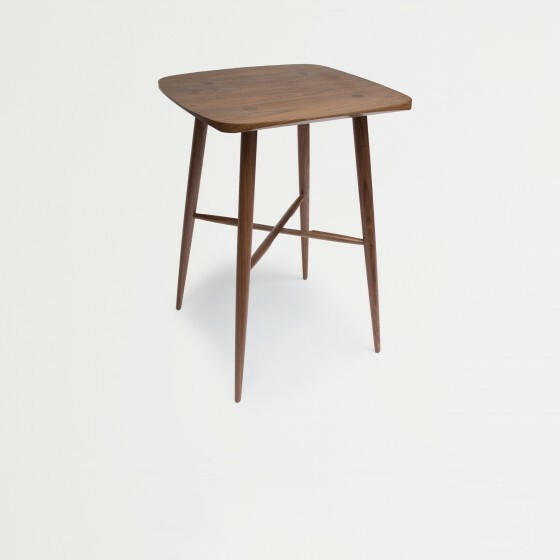 We wanted the joining technique to be a key feature of the range, which is why the wedged end grain of the leg is exposed through the table top to beautiful effect. The Holton range is manufactured in the UK, so we can offer a huge amount of flexibility and make this range to a customer’s specification. 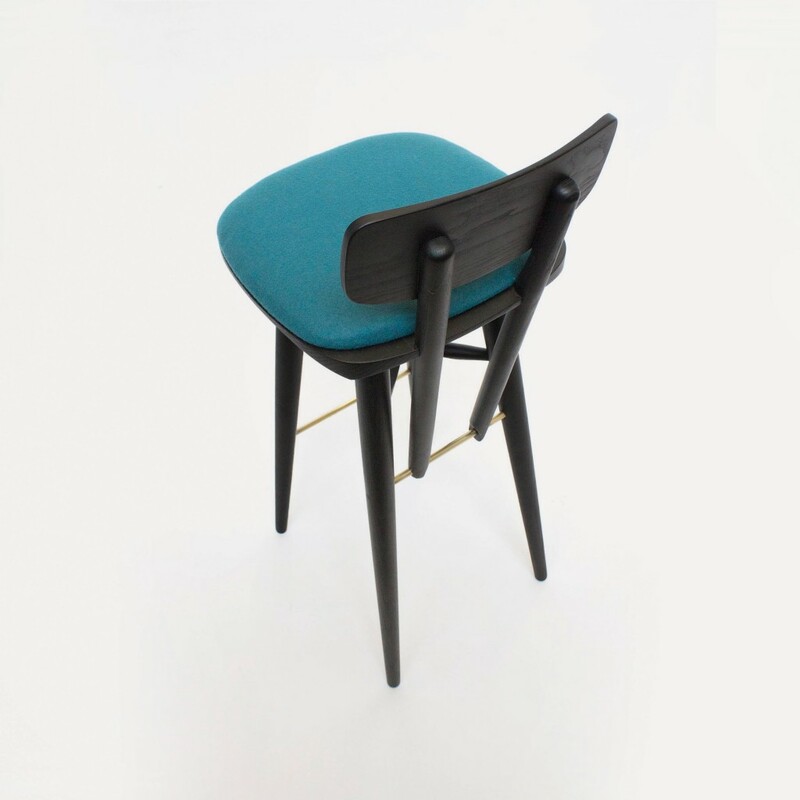 The Holton Bar Stool is also available with a back rest and or upholstered seat for extra support and comfort.